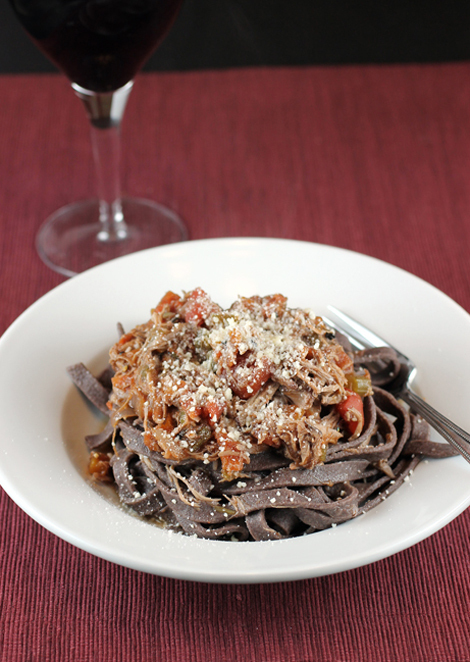 A glass of Syrah pairs with duck-Syrah ragu over Syrah-flour pasta. That’s what you’ll be humming, when you dig into this lusty pasta dish. Because there’s wine, wine, everywhere in it. There’s Syrah in the meaty duck ragu that tops it. There’s even Syrah flour in the pasta dough for the homemade fettuccini. And of course, a glass of — what else — Syrah to sip alongside it all. I was inspired to cook “Venetian Duck Ragu” with “Syrah Fettuccini” when I received samples of the new WholeVine products from Santa Rosa. Company founders Barbara Banke and Peggy Furth started their line of grapeseed flours, grape skin flours and grape seed oils — all gluten-free — as a way to make greater use of what vineyards provide. They’ve also added a line of four different gluten-free cookies ($6.99 for eight of them), as well as a line of eight different wheat crackers ($6.99 for 12), all made with their flours. Moreover, they donate a portion of profits to charitable organizations that help children in need. 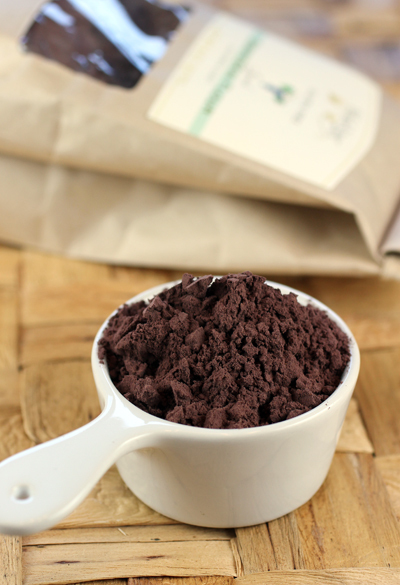 The varietal grape skin and seed flours ($6.50 per 1/2-pound bag) are made from Chardonnay, Cabernet, Sauvignon Blanc, Merlot, Pinot Noir, Riesling, Syrah and Zinfandel grapes grown in certified sustainable California coastal vineyards.